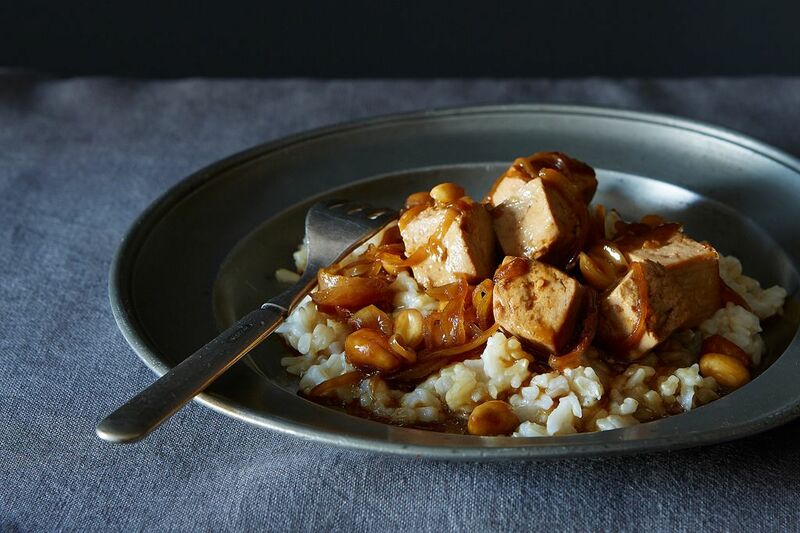 Today: Nicholas gives us a weeknight-ready stir-fry for tofu skeptics and devotees alike. I do not want to betray the half-dozen reliable readers of this column, who have come to expect a lot of first date-like awkwardness followed by a solidly kid-unfriendly recipe. That proud tradition will not die. But this week -- because I care -- I interrupt it to offer you a weeknight-ready, picky kid-appealing recipe. There are no unfindable ingredients. There are no esoteric theories. There are no Network-like mid-column rants. Next time we return to our regularly scheduled forced meat concoctions. This is a very basic tofu stir-fry, which is the sort of thing that children either find: A) deeply reprehensible; or B) instantly likable. You can attribute a lot of that to said child's exposure to tofu, or at least you may think you can: in my experience, some children come out just set against tofu, as if they’d ordered some really lousy take-out tofu while in the womb. I will not try to convince you that this dish will turn Child A into Child B. You know which child you ordered. But I will tell you what's key to making this dish work: First, leave the tofu alone. If you poke it at it, it will get irritated and stick to the pan. If you were poked all the time, you'd get irritated too. Second, let the tofu swim in the sauce for a few minutes, while it reduces to a glaze. Think of it as cooking the pasta just shy of al dente and finishing it in the saucepan. A couple more things: First, yes, there’s a lot of tofu. You can make it with a single block, of course, and halve everything. But it makes excellent lunch, and there is never enough excellent lunch, unless you are Amanda's children, in which case this is a serious let-down. 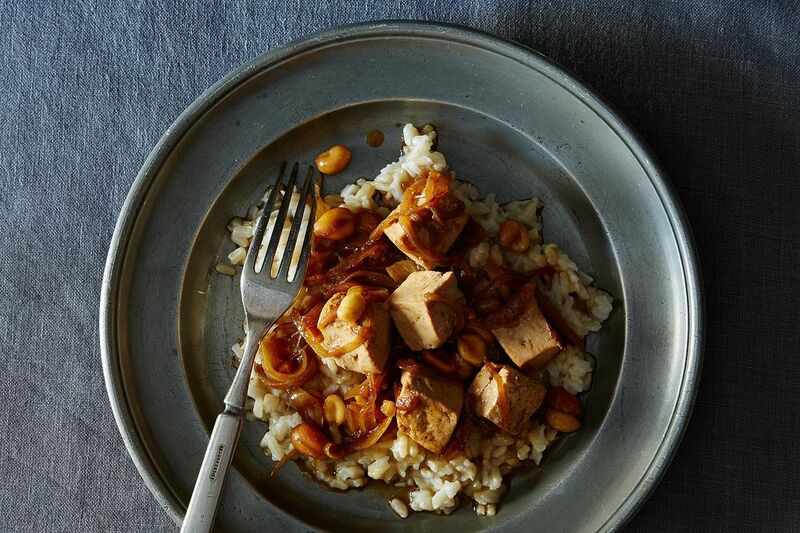 (The peanuts could be the amuse-bouche, and the tofu the lunch. Then maybe lick the bowl for dessert?) Second, yes, there's a lot of soy sauce. Should I feel bad about this? Maybe -- but I don't. Partly because we don't eat much salty processed food, partly because the science of salt asceticism still seems shaky, partly because I gave up feeling bad for Lent. Look, I'm not saying that giving your child her own individual salt bowl is a sensible idea. (Although it is true that my children have each started a Kickstarter campaign for their own salt bowls. If you donate, you get sent some of the food they dropped on the floor.) But an occasional abundance of soy sauce seems the least of our problems. 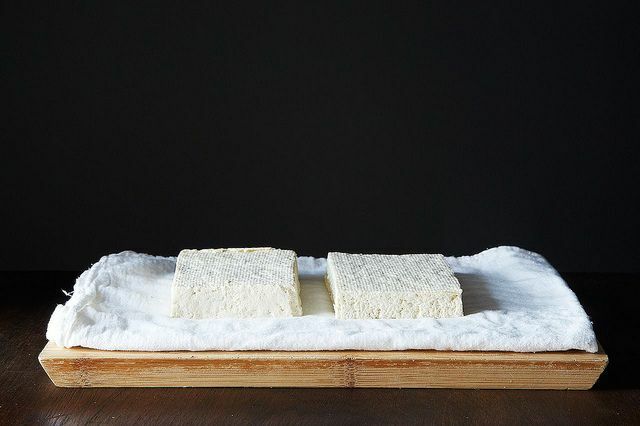 More: Looking for more instantly likable tofu? 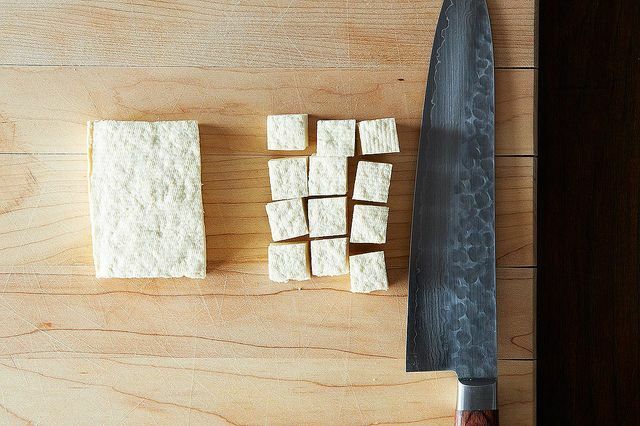 Try this Japanese-Style Fried Tofu. And a third thing: Make this fabulous chili oil recipe. (Which only gets better with time.) Include the orange peel and a star anise pod. Drizzle some on the toddler's portion and wait for him to say, Spiceee! And then wait for him to say, Moi! Moi spiceee! And enjoy it, because in a few years he will have turned into the five-year-old next to him -- the child who, if you have drizzled any on his portion, will give you a look that says something like, To think that I once considered trusting you -- it is such a shame that it all had to end this way. Thanks! But what is Shaoxing wine, and is there a possible substitute? Some broccoli or bok choy would be great with this dish as well. Could I substitute something else for the molasses? Molasses is not so readily available in Melbourne. Some brown sugar, I think. Don't you have treacle? If not, dark corn syrup may work fine. That amuse bouche sounds pretty fancy.